Kelly’s Directory 1881 tells us that at 150 Brixton Road was Mrs M C Timmis, Ladies School. We can see from the 1881 census that Mrs Timmis was a widow and living at 150 Brixton road with her two daughters and a servant. At this time many well-to-do women opened their homes up as ladies schools in order to make a bit of money especially if they had been left as widows. 150 Brixton road is no longer standing, it was part of what we now call Herbert Morrison House, an 1828 row of grand terraced houses. A bomb hit 148 and 150 in World War 2 and the site is now covered by County House. 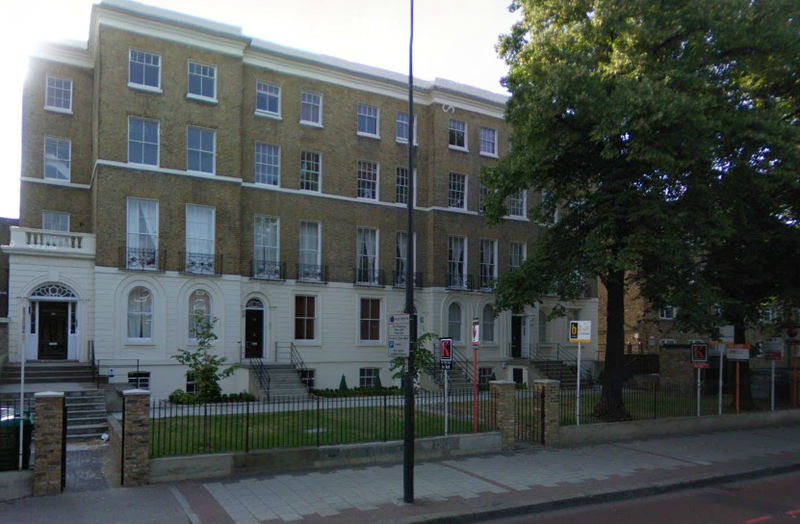 The picture below shows Herbert Morrison house as it is now, 150 Brixton road would have been attached to the far right side and would have looked as it does on the left of the terrace.